Was any body else anoyed that in the pilot when Dean put in a Metallica tape Back in Black played? 7x02: Black Water sa pamamagitan ng the Doobie Brothers? What did you think of 'Slow Ride' sa pamamagitan ng Foghat for the S7 Road So Far? So we know that Dean doesn't like Jefferson Starship...but do you? 6x17: Use of Blondie's One Way or Another? ang napili ng mga taga-hanga: Hilarious! Are you into classic Rock? 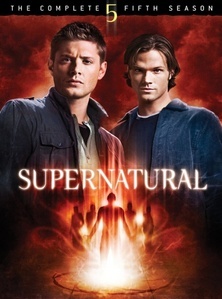 what is your fav song from supernatural??? Large collection of the music played or referenced on the show. There's 2 other parts as well. Whether SPN introduced you to the genre or you're a longtime fan, ipakita your pag-ibig for classic rock here! a comment was made to the poll: Should the Road So Far in the very final episode of Supernatural be Dust in the Wind sa pamamagitan ng Kansas? How many episodes in Season 5 use a song for a title? The Music of Supernatural Pagtitip. 5 Most Memorable Songs from Supernatural?